Once you notice a spill or a stain on your carpet, clean it immediately. You have a good chance of removing the stain completely if you catch it while it is fresh. Please remove as much of the spill as possible and blot the entire area carefully. 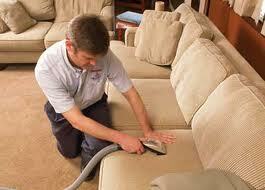 Once you have done that then you can apply your carpet cleaning solution. 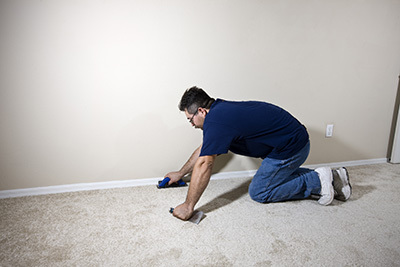 You must test a small area of the spot with the cleaning solution to make sure that the cleaner is not too strong. 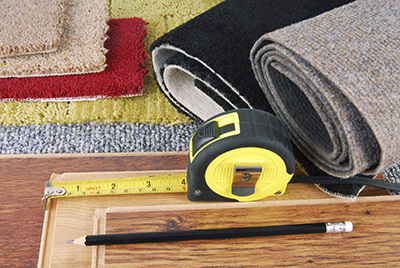 You do not want to damage or discolor your carpet if the solution is too strong. When attempting to clean the spill up you must blot it instead of rubbing it. Rubbing the spill may spread it and make the stain even larger. The cleaning solution is the key once you have cleaned up as much of the spill as possible. Do not let the area of the spill completely dry. If that happens it will be more difficult to clean the area up and the stain may be a permanent one if not taken care of immediately. Applying the cleaning solution must also be handled with care. You should work from the outside edge of the stained area and move towards the inner area. This should be done to stop the stain from spreading. All the moisture should be blotted up with a clean white bath towel. By simply using the white towel to dry it, you will see how its fibers quickly return to a standing position. If excess moisture still remains in the carpet after blotting it, then gather several towels, stack them up, and place them over the spot. Weigh it down with something heavy if you have to. Stain removal is not complicated as long as you know what to do when the time comes. If all else fails, there is always the option of professional carpet cleaning.